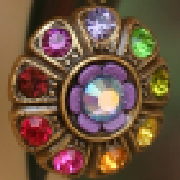 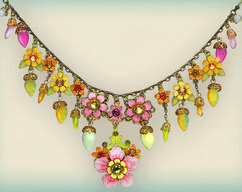 The alternate setting of flowers and stone tassels creates a unique balance of simple and dazzling traits that are highly appealing to the eye. 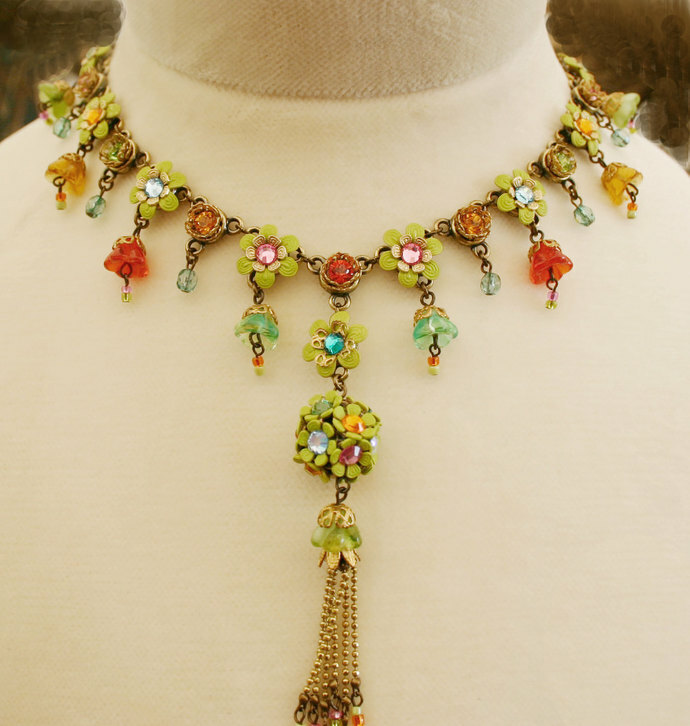 The delicately shaped bells hanging from the flowers infuse a sense of style and old-world elegance in the necklace. 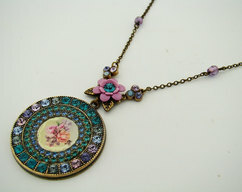 The entire design sits in the center of a beautifully carved chain which brings the emphasis to the necklace. 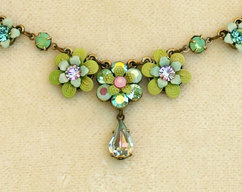 The contrast of the flowers and the bells bring a dimension of multi functionality to the necklace. 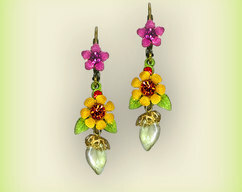 It can be worn with matching or contrasting hues with equally stunning effects on the audience.